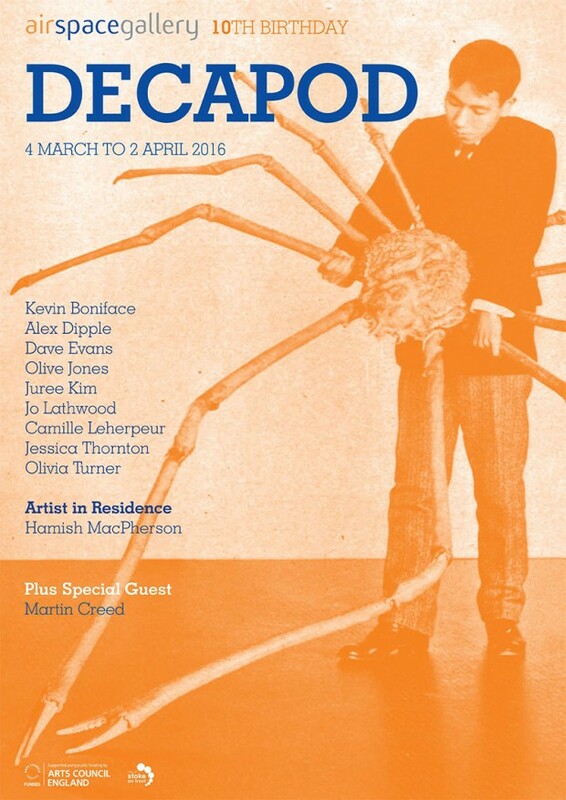 Meanwhile – off-line – I’m really happy to be taking part in ‘DECAPOD’ as part of AirSpace’s 10th anniversary exhibition. AirSpace is a great gallery in Stoke-on-Trent that consistently puts on exciting shows, so it’s a real honour to be part of their celebrations. DECAPOD: n A ten-legged beguiling, mysterious and playful creature of intrigue and endeavour.